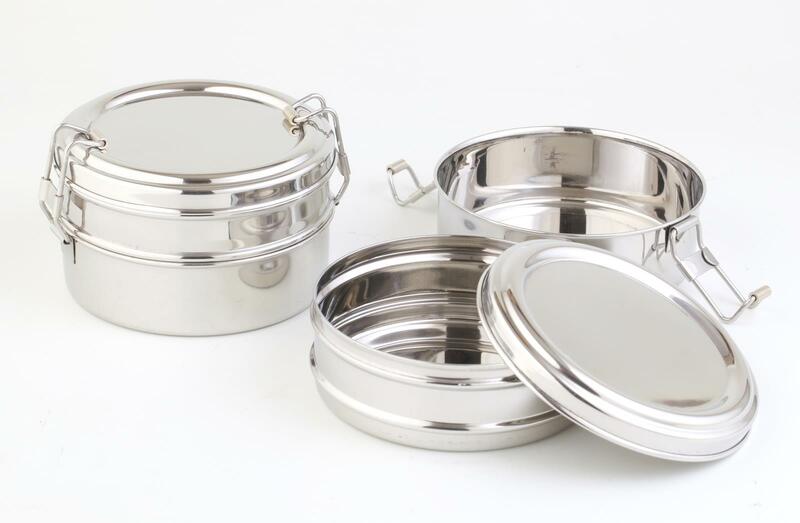 Green Essentials Double Bento Round Mini Stainless Steel Lunch Box 800 ml Best place for stainless steel water bottles and insulated water bottles. Buy reusable water bottles. Perfect for all kinds of food such as dry snacks, fruit, crackers, small meals such stews / casseroles,that are not to saucy (not too liquid based). Made of the highest quality durable 201 stainless steel, easy-to-clean, virtually unbreakable, resists stains and rust. Refill your Double bento Round Mini over and over, save money and add zero waste to landfills. Helping to save the Earth, One lunch box at a time. Eco-friendly and reusable means saving money and the environment. To clean your Double Bento, simply hand wash or place in your dishwasher. Not insulated, not for use in Microwave and not recommended for use in ovens.